Editor’s note: This post is part of the Disney Blog Carnival. Head over there to see more great Disney-related posts and articles. 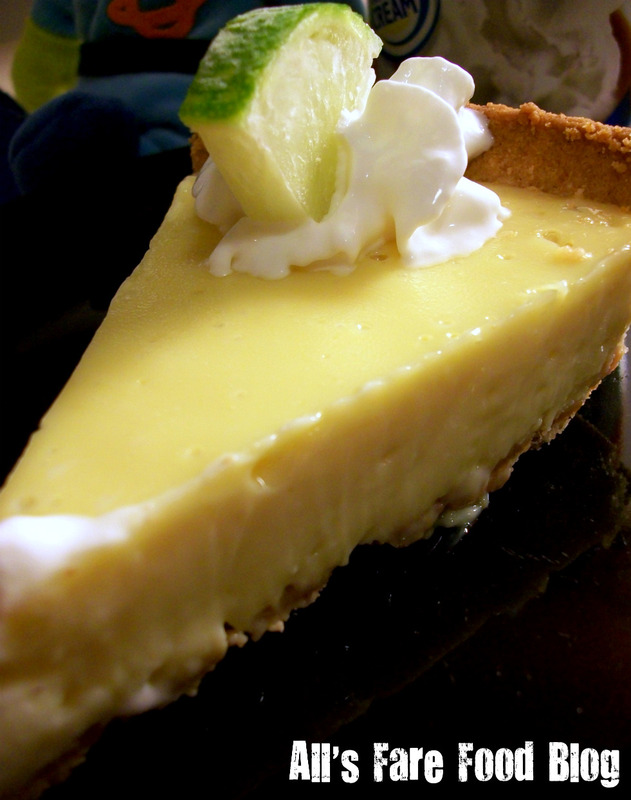 Characterized by its tart, yet sweet, creamy interior, a golden crumbly crust and whipped cream topping, key lime pie evokes a symphony of emotions and flavors. One bite and you’re transported to a swinging hammock off the coast of Florida. The warm, salty air glistening off your cheeks. A frozen drink with a teeny colored umbrella in your hand. 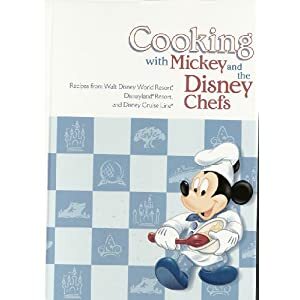 Wanting a trip to the tropics, I pulled out “Cooking with Mickey and the Disney Chefs,” a cookbook that includes recipes from Walt Disney World Resort in Florida, Disneyland Resort in California and the Disney Cruise Line. 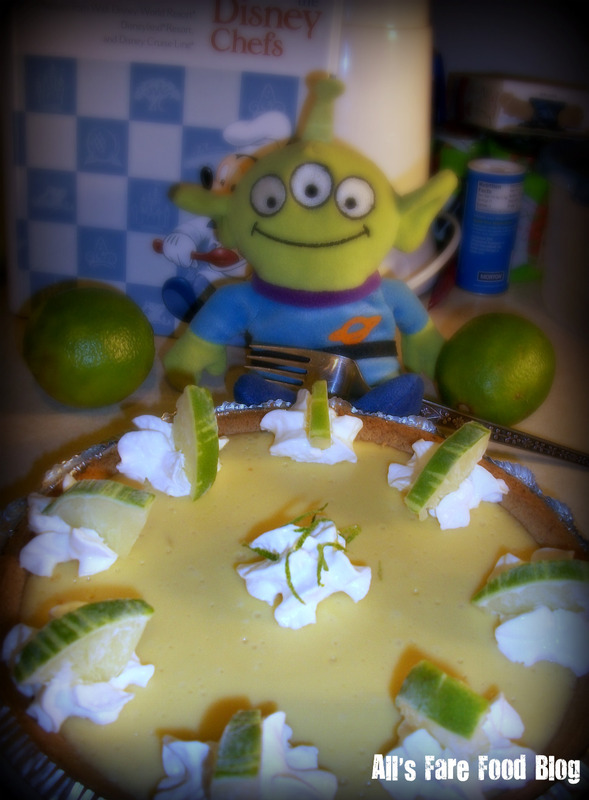 The recipe for Key Lime Pie from Olivia’s Cafe at Disney’s Old Key West Resort needs only four ingredients. In about three hours (mostly waiting for the pie to chill), you can be transported to The Keys, and you barely need to know how to cook. Just stir and turn the oven on. 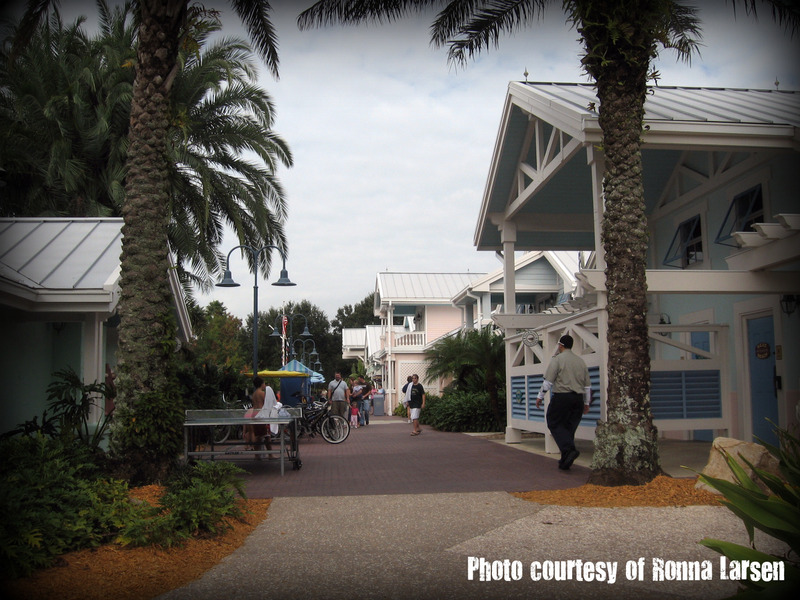 Olivia’s Cafe is located at Old Key West Resort, one of Disney’s Vacation Club resorts. The 761-room hotel exudes the romance and luxury of the Florida Keys. 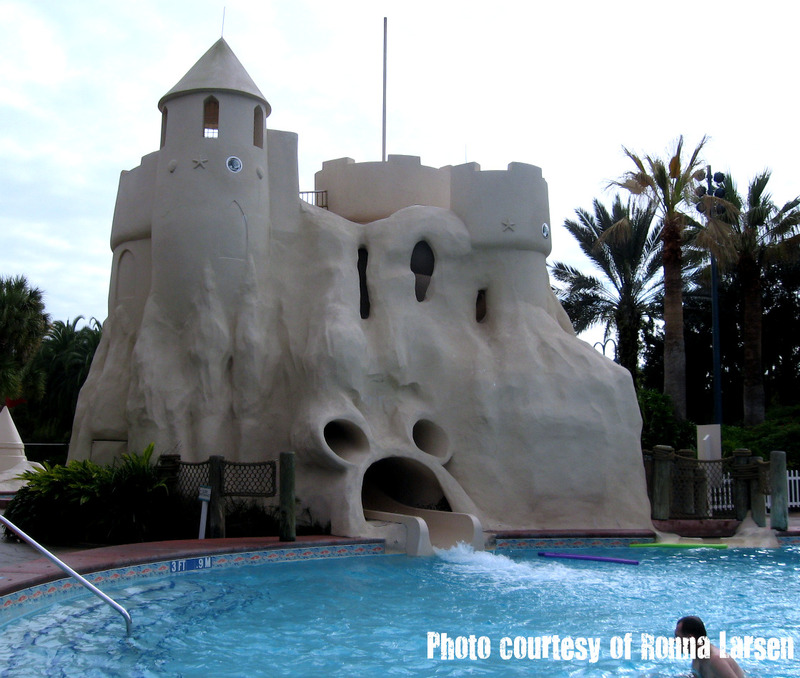 Travel to their pool and you can find a not-so-hidden Mickey while basking in the warm Florida sun. But all that sun bathing can make you hungry, so let’s step inside the pages of one of Disney’s cookbooks and enjoy a tart, sweet and refreshing treat that is super simple to put together. 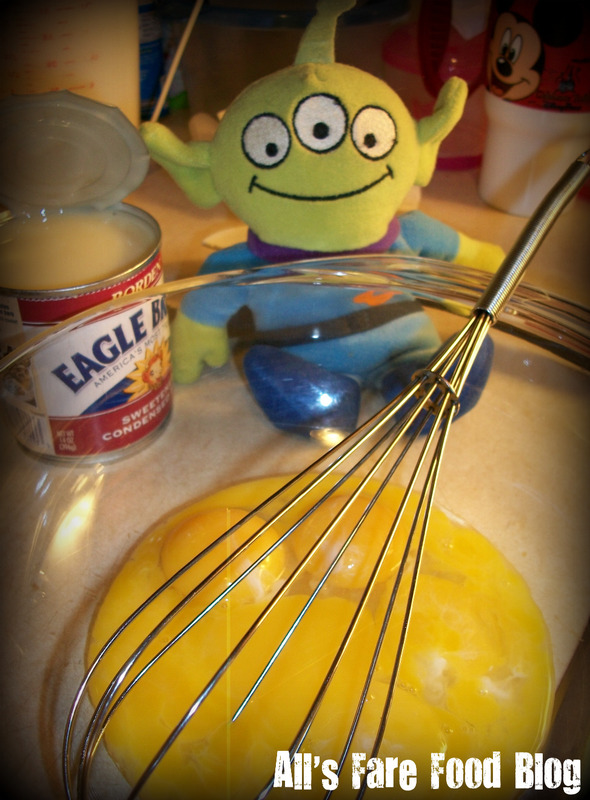 Gently whisk the yolks together in a bowl, do not let them foam. 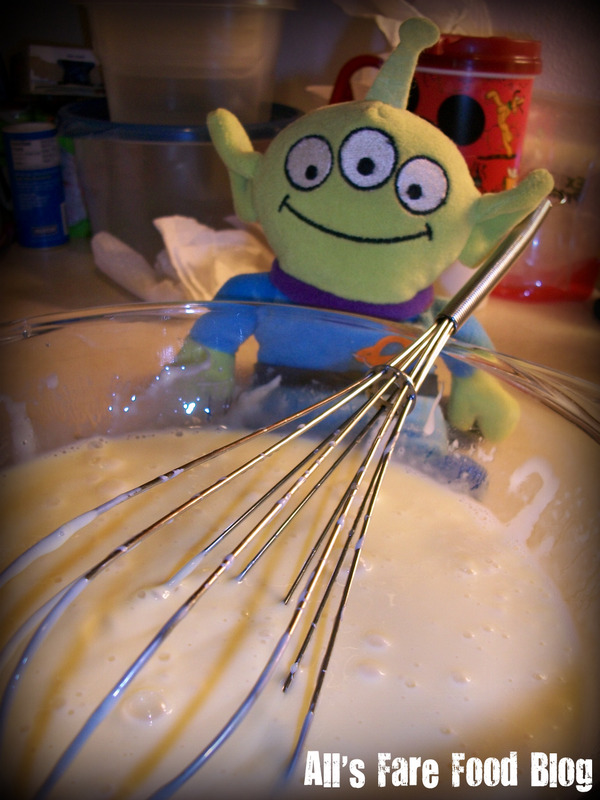 Stirring constantly, slowly blend in the sweetened condensed milk and the Key lime juice. Pour the mixture into the pie crust and bake for 12 to 15 minutes, or until set. Remove the pie from the oven and cool to room temperature on a wire rack. Chill, covered, until very cold. Olivia’s Cafe’s most recent menu doesn’t have the Key Lime Pie on it, but it does have a Key Lime Tart with Mango and Raspberry Sauce for $5.49. Special thanks to Ronna Larsen for the pictures from Old Key West Resort! 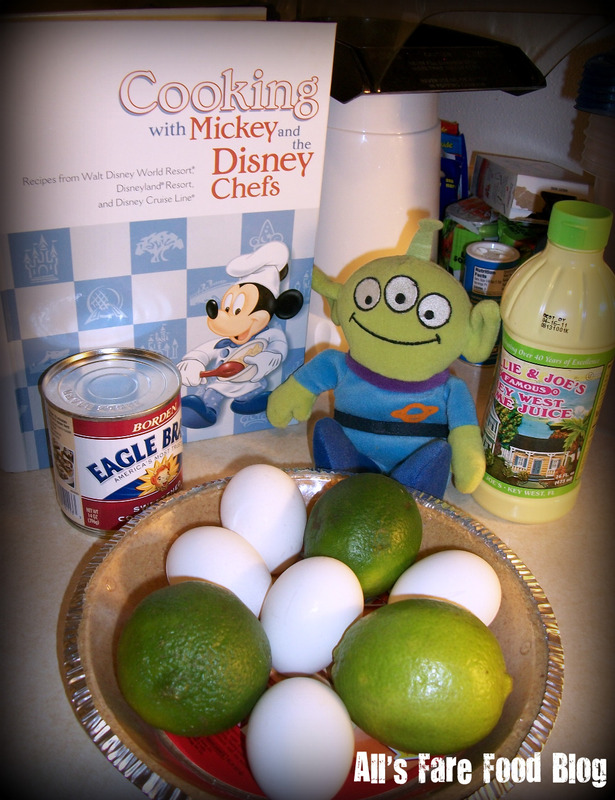 This entry was posted in Cuisine - Desserts, Disney, Recipes and tagged alien, cookbooks, Cooking with Mickey, Disney, Disney Blog Carnival, Disney chefs, Disney Cruise Line, Disneyland, Florida, key lime pie, Keys, Old Key West, recipe, reddiwip, Toy Story by Christina. Bookmark the permalink. i am so excited to see this recipe!! 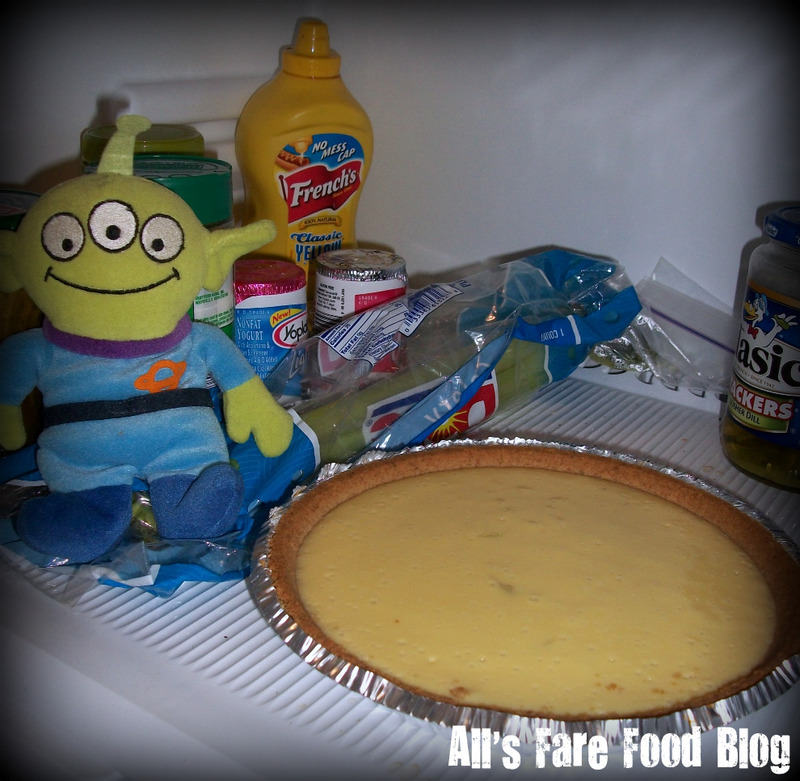 we LOVE the key lime pies at Disney! I just finished cooking this, its cooling now and we CANT WAIT to dig in! !